Step 1. Cut the corners off to make your square an octagon. Step 2. Take one piece of your leatherette and put the other piece to one side. Step 3. 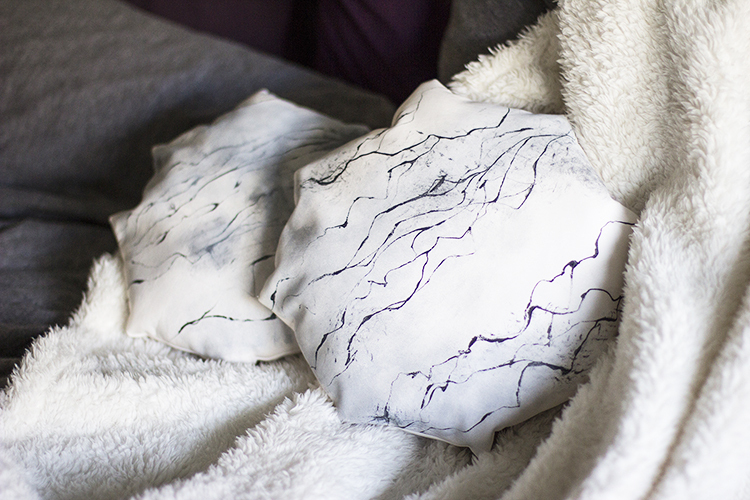 Mix up some white fabric paint with a little black to make some grey, try to mix a couple of shades to add depth to your marble. Step 4. 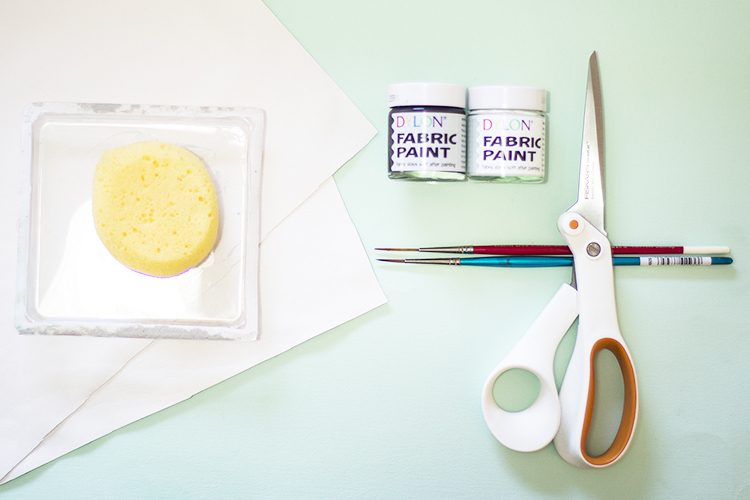 Use the sponge and start with the lightest colour applying it diagonally across the cushion piece. Step 5. Holding the paint brush at the very end dip it in to the black paint and drag it across the width of the cushion. Gently twisting the brush as you go. Step 6. Keep painting more veins, branching off from the original one. Step 8. Before the paint dries go back in with the sponge and work in some of the heavier lines to soften the look. Step9. When the front is completely dry put the other side on top, right sides facing. Step10. 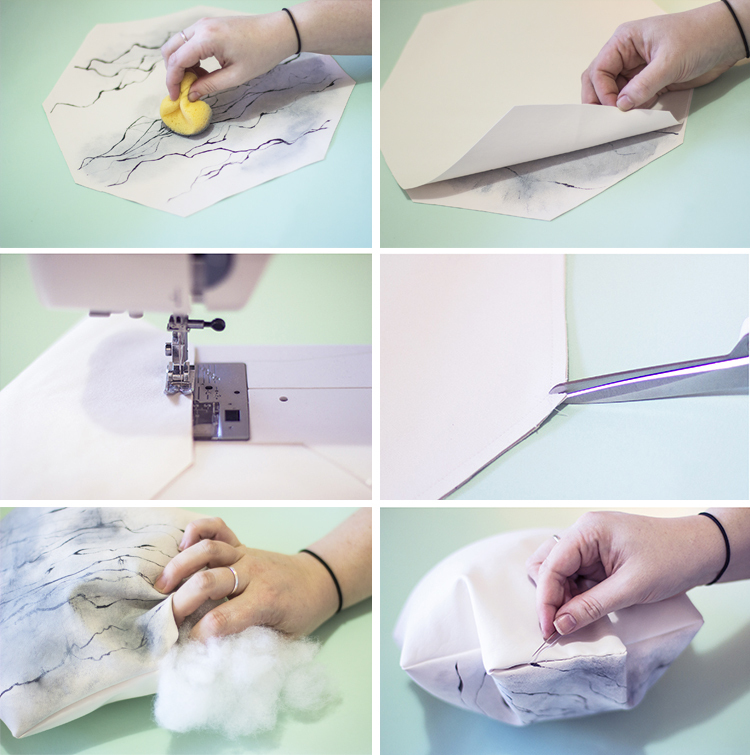 Sew around the edges of your cushion leaving one edge open. Step 11. 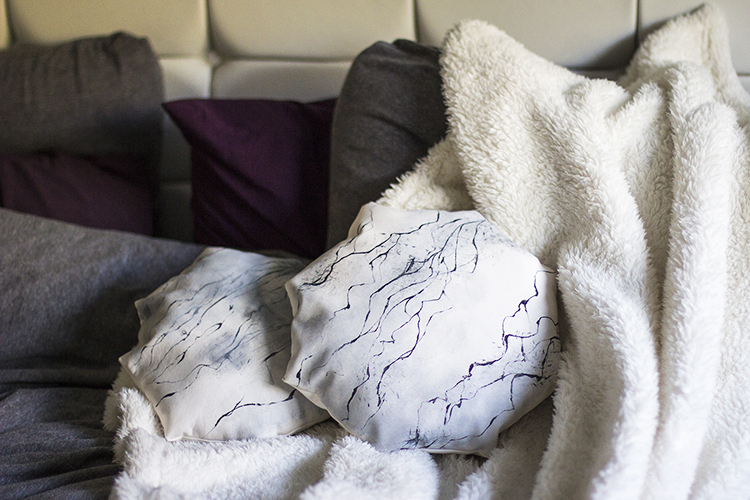 Turn the cushion right side out and stuff through the edge you have left. Step 12. Sew up the last edge with a little hand sewing. 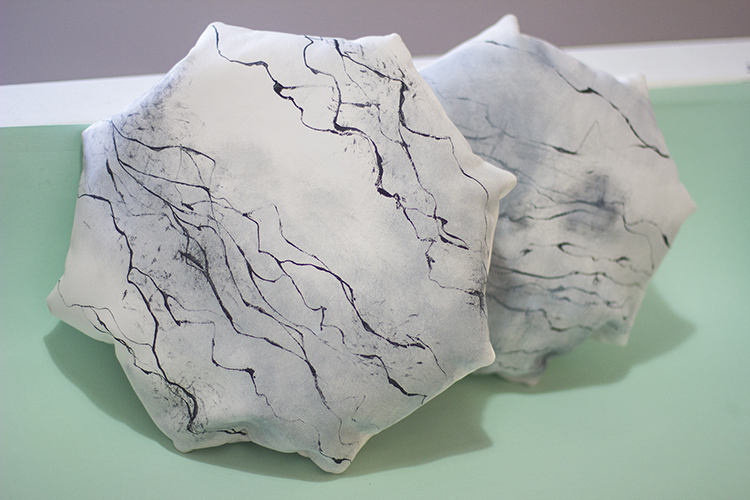 And there you have it a gorgeous marble effect cushion. 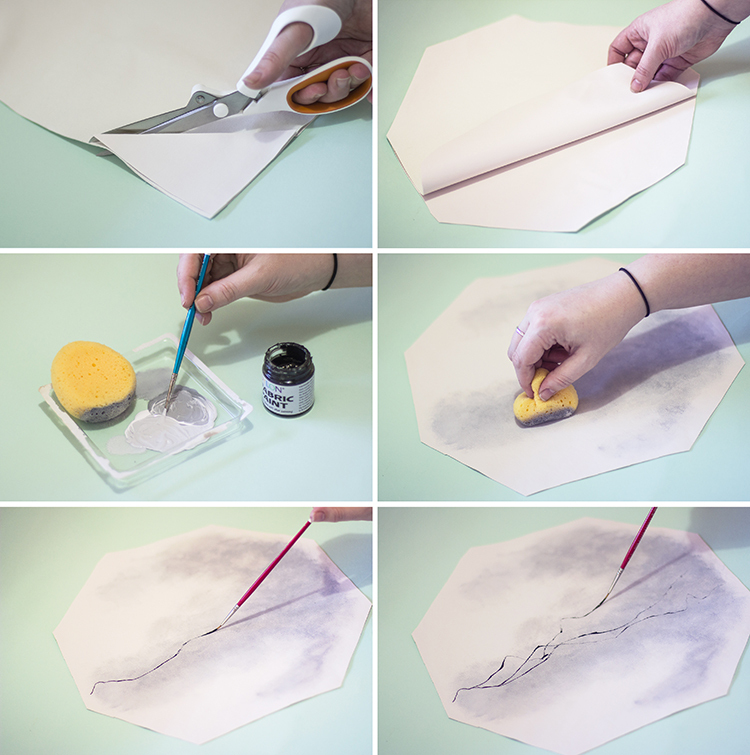 I have used leatherette but this technique would work with cotton or canvas just as well. I like the idea of using another piece of leatherette with this marble effect to make a table mat for my coffee table too. I’m off to marble up everything in my lounge to match these lovelies.